the original nationality of its brand or the location of its ultimate corporate parent is the United States? the location of final assembly is in the United States? the majority of parts and components are manufactured in the United States? the majority of production costs are incurred in the United States? Under U.S. law, there are three systems to determine “domestic content” in answering how American a vehicle is: the American Automobile Labeling Act (AALA), which is what is printed on the vehicle window sticker; the Corporate Average Fuel Economy (CAFE) two-fleet rule that divides cars into domestic and foreign fleets for purposes of determining fuel economy compliance; and nearly every trade agreement which contains rules of origin governing the eligibility of traded goods for favorable trade treatment, such as the North American Free Trade Agreement (NAFTA). 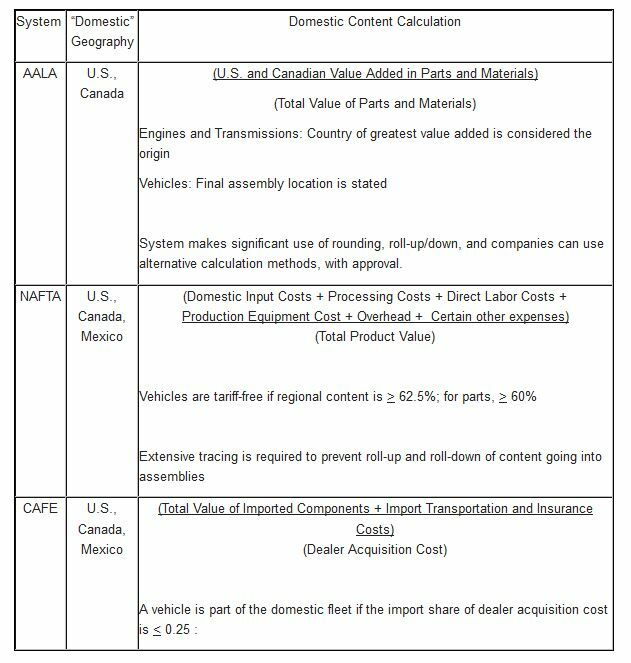 AALA, CAFE, and NAFTA each base the determination of domestic content primarily on where production costs are incurred, but each differs in important ways. First, AALA rules cover U.S. and Canadian content in its domestic content calculations, whereas CAFE and NAFTA include U.S., Canadian, and Mexican content as part of their domestic content calculations. Second, each system includes different types of costs. 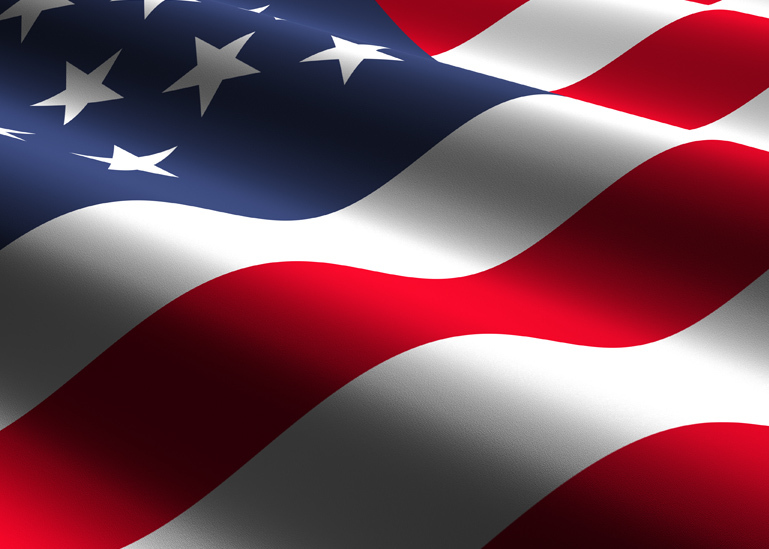 AALA includes the value added of parts and components produced in the U.S. and Canada as domestic. 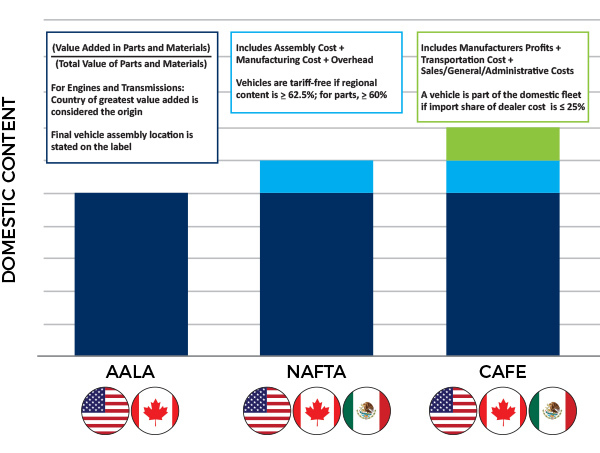 NAFTA domestic content calculations include everything that AALA does PLUS vehicle assembly costs, supplier manufacturing costs, and all overhead. CAFE includes everything that NAFTA does PLUS transportation costs, manufacturers’ profits, and sales/general/administrative costs as domestic content. The chart below illustrates these differences, and the table following provides additional detail on how domestic content is determined under three U.S. classification systems. Because each calculation is different, there currently is no single, easy way to identify the U.S.-only content of a car or truck sold in the United States.